ANSUL® INERGEN® systems protect enclosed areas where there is a need for quick reaction to a fire, where people may be present, where fire may strike day or night, and where damage from conventional agents cannot be tolerated. This environment-friendly, people-safe agent boasts ZERO ozone depletion potential, ZERO global warming potential, and ZERO atmospheric lifetime. 3M™ Novec™ 1230 Fire Protection Fluid is based on sustainable technology, designed to balance industry concerns for human safety, performance, and the environment. This unique agent is an advanced replacement for halon and first generation halon alternatives. With zero ozone depletion potential, extremely low global warming potential and short atmospheric lifetime, Novec 1230 fluid is the first halon replacement to offer a viable, long-term, sustainable technology for special hazards fire protection. Many fire suppression systems can cause major damage to – and even destroy – the very things they are supposed to protect. You’re looking to avoid damage – not cause it. You’re looking to reduce downtime – not lengthen it. 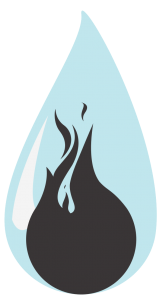 You want a fire suppression system that deploys quickly and cleanly and won’t leave behind oily residue, particulate, or water. FM-200® fire suppressant stops fires fast. When you consider the potentially devastating environmental effects of an uncontrolled fire, it’s easy to see that an FM-200® system is an important part of an environmentally responsible fire suppression solution. FM-200® systems reach extinguishing levels in 10 seconds or less, stopping ordinary combustible, electrical, and flammable liquid fires before they cause significant damage. That’s the fastest fire protection available, period. When fire is extinguished this quickly, it means less damage, lower repair costs, and an extra margin of safety for people. It also means less downtime and disruption of business. We specialize in the design, fabrication, installation and maintenance of Fire Protection Systems. We are licensed to work in New Mexico and Colorado. Cooper Fire Protection Services - Fire Protection Saves Lives!